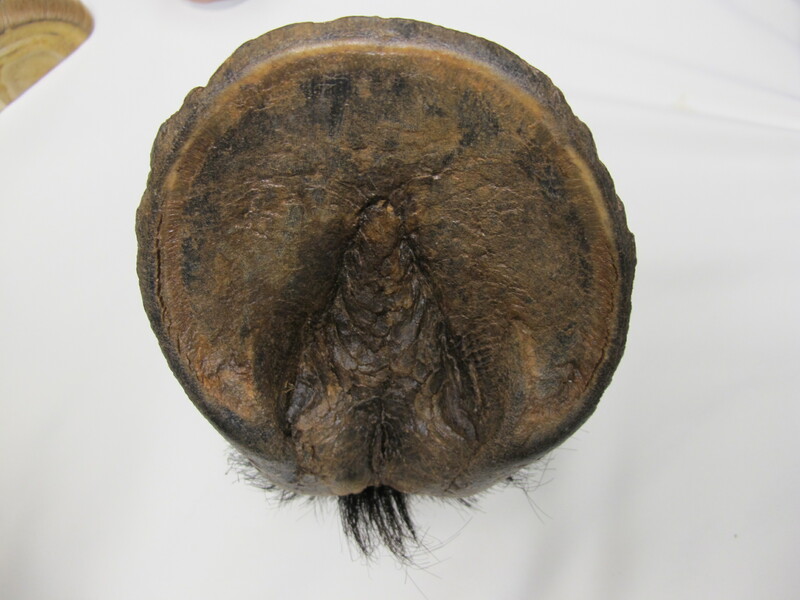 The robust hoof shape needed for today’s riding is modeled after the hoof found on mustangs wandering in hard, rocky areas like Nevada and Arizona, but the horses we trim based on these guidelines live a much different life. In spite of those differences almost any horse can run across the rough terrain as easily as a mustang – or metal shod horse can – or better! How is this possible? Owners of horses who are sound barefoot or in metal shoes have more options than they had a decade ago thanks to the wide variety of boots and synthetic shoes. 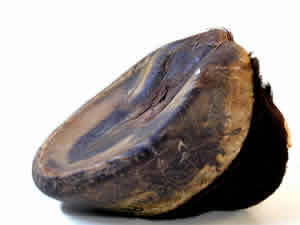 In the wild, the hoof is worn by horses’ constant movement. 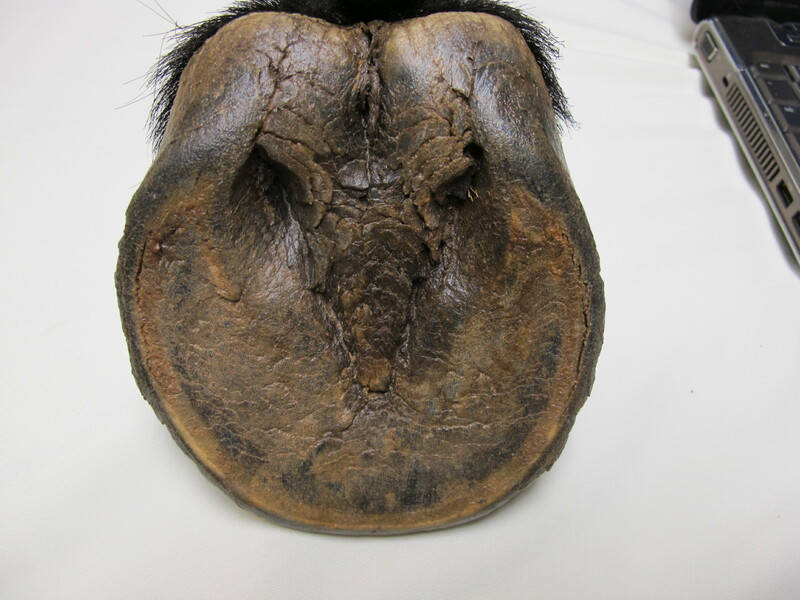 The edges of the hoof from the toe to the “quarters” (the sides of the hoof wall at the base of the hoof) are shaped by loose soil & rock. These rounded edges deflect rocks & dirt, & enhance traction. 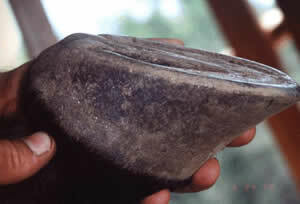 In rocky terrain, the “quarters”; often take on a scoop-shape that accentuates traction, absorbs concussion, allows loose matter to escape to the sides of the hoof as the hoof descends in a weight bearing stage. 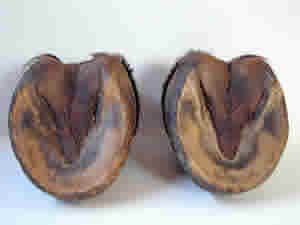 On flatter terrain, the hoof adapts as best it can, usually filling in flat with a retained sole and higher bars to provide support. In swampy, wet environment, feet shed the softened sole and have a cup-shape that improves traction in slippery conditions. 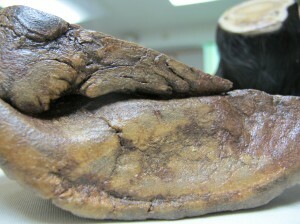 Most domestic horses don’t live in the environment that builds a mustang-like hoof. Quarter horses, gaited horses, Thoroughbreds, drafts and Arabs – different breeds of horses have unique hoof conformations, and because of their specialized work, they have unique ways of wearing their feet. 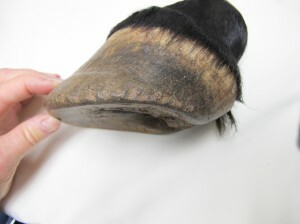 Thanks to our understanding of trim requirements for barefoot horses, our access to a variety of hoof boots and glue on shoes, and our understanding nutritional support for growing optimally fit bare feet, hooves that were once through to be too fragile or weak can be left bare to toughen and grow strong with the help of removable protective boots and synthetic shoes that encourage the caudal hoof to develop as they protect the foot. I don’t personally feel that metal shoes are bad unless they are applied sloppily or are used back to back for years on end, however I feel that boots and synthetic shoes are proving to be a better solution for today’s horses, owners and farriers.